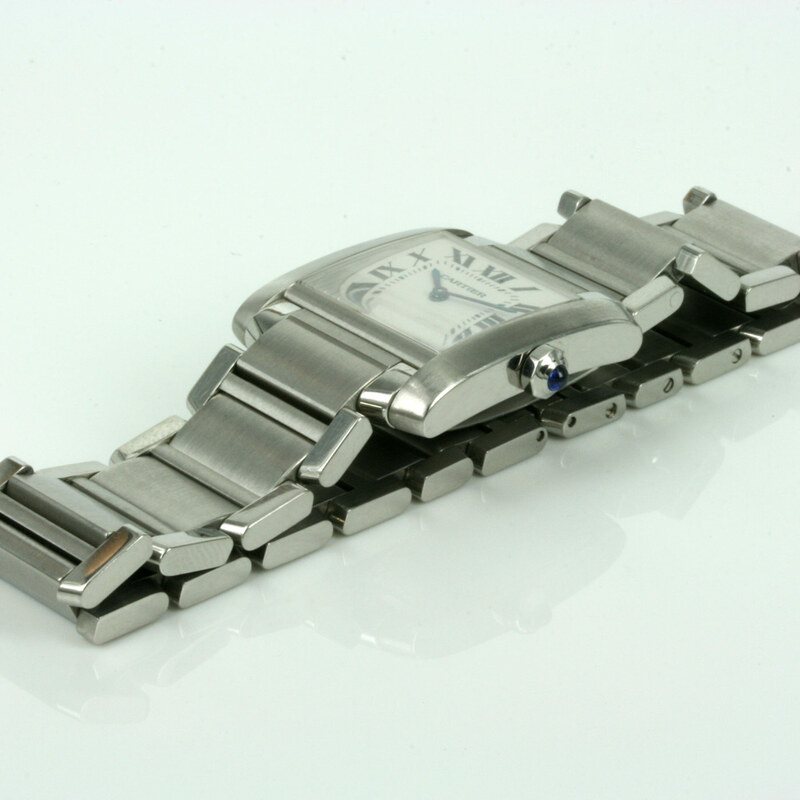 Product code: ES2166cc Categories: Sold Items, Sold Watches. 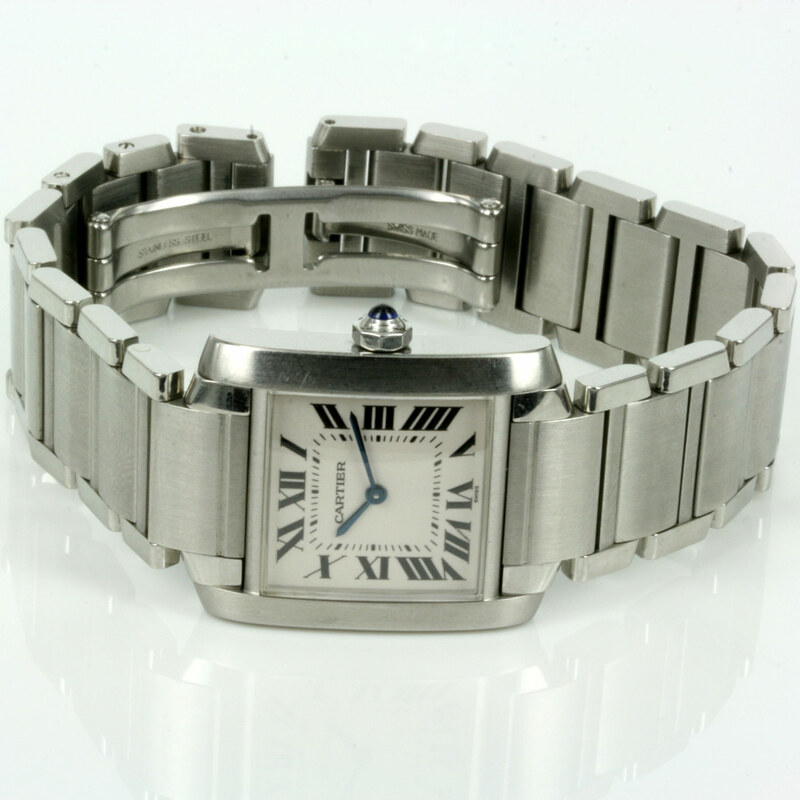 One of the most iconic Cartier watches has always been the Cartier Tank, and this Cartier Tank Francais model 2301 in stainless steel is destined to look superb day or night. Made in a stainless steel case that measures 25mm across plus the sapphire crown, the dial is the wonderful traditional Roman numerals that always looks elegant. Inside is a fully jewelled Cartier quartz movement that of course keeps perfect time, and fitted on the stainless steel band with deployant clasp, this is an incredibly elegant and smart looking Cartier watch.